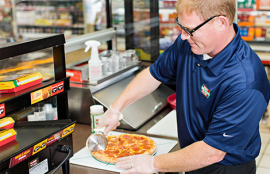 Let us help you grow your c-store business, one slice of pizza at a time. 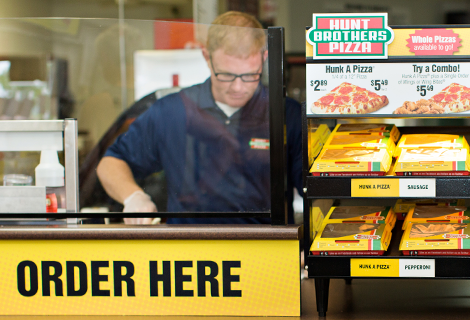 Find out how TBHC Delivers and Hunt Brothers® Pizza can transform your business and your bottom line. From restocking supplies to expert sales coaching and everything in between, our Account Managers follow our 15-Point Service Promise to the letter. Every visit, every time. 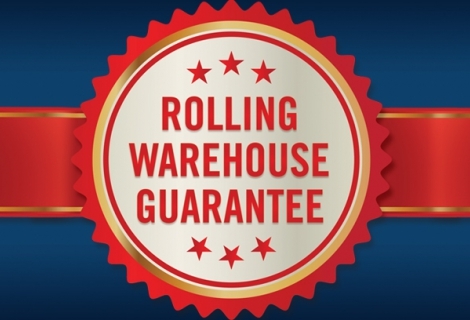 Simply put, if you request an item that’s not on our delivery truck, you’ll receive it free on our next visit. 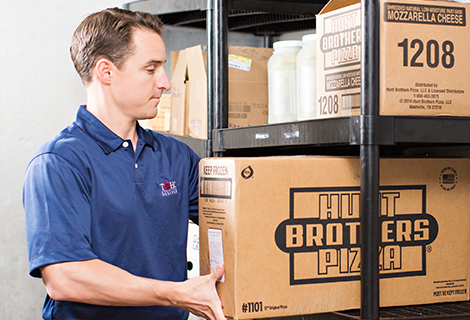 As your partner, TBHC Delivers puts our experience to work in your store to make your Hunt Brothers® Pizza business as hassle-free and profitable as possible. 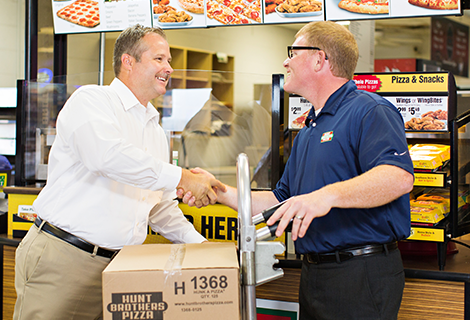 C-Store owners across the country are seeing results with TBHC Delivers and Hunt Brothers® Pizza. Let’s talk about what pizza can do for your business. 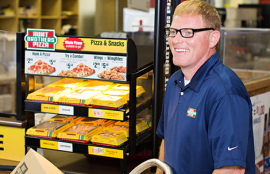 Request your on-site Pizza Bake to sample our product fresh from the oven, and learn more about partnership with TBHC Delivers.